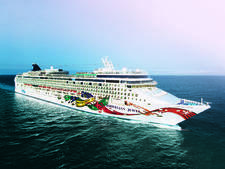 Travelers with a hankering to explore the Hawaiian islands but without the vacation time or money to spend on multiple trips are smart to consider taking a seven-day cruise aboard Norwegian Cruise Line's Pride of America. 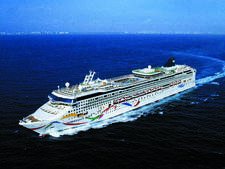 As the only U.S.-flagged ship that sails around Hawaii, Pride of America has a unique itinerary that includes only Hawaii (there aren't any out and back trips to small foreign islands to meet the requirements for foreign-flagged ships). This means time is maximized in Honolulu, Maui, the Island of Hawaii (Big Island) and Kauai. As an extra bonus, there aren't any days at sea, opening up even more time to explore and participate in shore excursions. Pride of America was commissioned in 2005 and in spring 2016 underwent a massive, multimillion-dollar enhancement project during a monthlong dry dock, which saw the ship essentially gutted replacing old furnishings with updated carpeting, furniture and flooring. Several bars were completely overhauled, private cabanas were added to Deck 14, the suites were refurbished and the spa was upgraded. The results of this effort are impressive and immediately apparent upon boarding the ship. 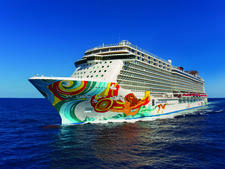 In addition to a fresh paint job in patriotic colors, the interior resembles that of a five-star resort. 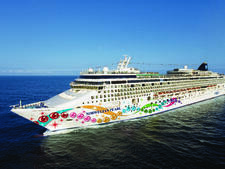 Pride of America's wide variety of restaurant and entertainment offerings allows passengers with different interests to find the place that works for them. The Gold Rush Saloon, for example, is a nice spot for those looking for a casual evening of beer drinking and listening to karaoke. On the other side of the spectrum, those who want a fancier evening (with posher drinks) can go to the Napa Wine Bar and Pink's Champagne Bar. The Hollywood Theater is a good place for those who want to hear show tunes and see Broadway-style performances while Club Mardi Gras is perfect for people who are more interested in a lounge atmosphere and want to dance well into the evening. This diversity of venues, including restaurants, lends itself to a fairly spacious atmosphere while onboard. It doesn't often feel like there are more than 2,000 people on the ship at the same time. 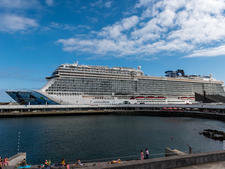 The spacious vibe is also helped by the fact that most of the ship empties when in port, and the ship is in port every day. When planning your days in port, note that with the exception of Kona, the ship docks at ports that are short driving distances to any points of interest. 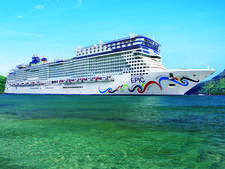 This is a noticeable difference for passengers used to cruising in places like the Caribbean where most activities can be found immediately on shore. For this reason, it is advisable to organize shore activities in advance. 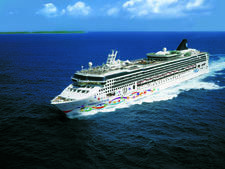 Pride of America offers a plethora of exciting shore excursions for a fee (ziplining, kayaking, bus tours of Volcanoes National Park, luaus and more). 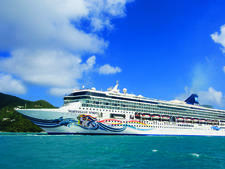 Shore excursions are such a big deal on this ship that they often fill up before the ship leaves port the first day. Do some research before you go and try to sign up way in advance for the best slots. 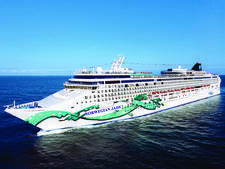 Hawaii is a large draw for families, which brings down the average age of Pride of America passengers a bit (the median age on a Norwegian Cruise Line ship is around 50). You'll find a good mix of families and older couples with some younger (in their 30s) mixed in, but you won't find many college-aged spring breakers. This means that evenings are pretty tame and child-friendly (you likely won't see people shot-gunning beers and cheering at the poolside bar). Americans make up the majority of passengers followed by Australians (thanks in part to Australia's proximity to Hawaii). 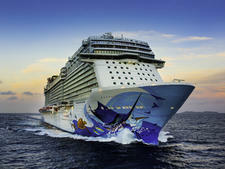 You'll also be sailing with British citizens, as well of people of Hispanic and Asian heritage. 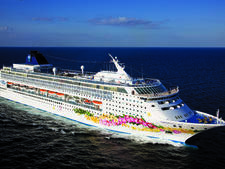 Pride of America has Japanese, Spanish and German translators on staff. Translation services --including the translations of the ship's "Freestyle Daily" schedule -- are available with advance request. 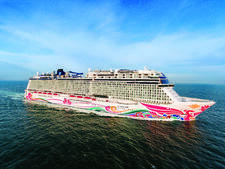 Cruise Critic’s professional photographers and our extraordinary community members have taken 2,393 pictures of Norwegian (NCL) Pride of America. When you visit our photo galleries, you can be assured that what you see is what you get. 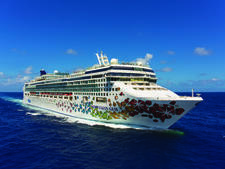 Norwegian's "Freestyle Cruising" mantra lends itself to cruisers who wear what they want when they want. There is one "Norwegian's Night Out," where guests are welcome to dress up (most wear cocktail attire as opposed to black tie). Toward the middle of the week, the ship puts on its White Hot Party, a club-style event with a DJ and dancing (21+), and white attire is encouraged. "Smart casual" attire (nice slacks for men, dresses for women) is required at the fee-based restaurants. Flip-flops and T-shirts are perfectly acceptable at the buffets. 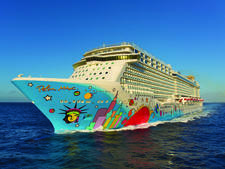 The ship has two main dining rooms: Skyline Restaurant on Deck 5 and Liberty Restaurant on Deck 6. Cruise casual attire (shorts, T-shirts) is acceptable at Skyline Restaurant while more formal attire (collared shirt for men, no shorts for ladies) is required at Liberty Restaurant. 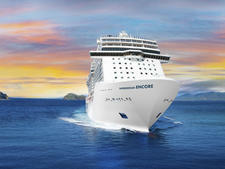 Otherwise, stick to cruise casual dress in the main dining room and public spaces: summer dresses/skirts for women, khakis and casual shirts for men. It is advisable to bring layers because the air conditioning can get chilly, and closed-toe shoes for many of the shore excursions. Norwegian charges a "service fee" of $14.99 per person, per day, for passengers booked in standard cabins and mini-suites. Those in suites are charged $17.99 per person, per day. 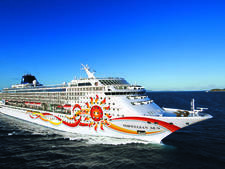 Cruisers wishing to adjust or remove the charges must fill out a form post-cruise to request a refund. Norwegian recommends that suite passengers who use butler and concierge services tip according to the level of service rendered. An 18 percent gratuity will be added to all bar purchases and services in the spa and salon. Note that Hawaii guests are charged an additional 4.275 percent, per state taxes. These charges are automatically added to your onboard account.